By Kyle Hunt | ISIS (aka the Islamic State) has been ravaging vast swathes of Syria and Iraq. It is quickly and ferociously expanding its physical territory, as well as gaining adherents from all around the globe, including many people residing in Europe, Arab and non-Arab alike. Their stated goal is to dismantle the Middle Eastern nation states set up by European powers over a century ago and install a government that has its basis in a puritanical version of Sunni Islam. The ultra-Orthodox and brutal ideology is known as Wahhabism and it originates from Saudi Arabia, a long-time ally of the United States and Israel. This relatively recent 60 Minutes interview with Syria’s President Bashar Al-Assad provides some insight into the US’s new covert ally in the war on of terror. CHARLIE ROSE, 60 MINUTES: You have often spoken about the danger of a wider war in the Middle East. Can you talk about the parties involved? And characterize how you see them. Let me begin with Saudi Arabia. BASHAR AL-ASSAD: Saudi Arabia is an anarchic autocracy. A medieval system that’s based on the Wahhabi dark ideology. Actually, say it’s a marriage between the Wahhabi and the political system for 200 years now. That’s how we look at it. CHARLIE ROSE: And what is their connection to ISIS? BASHAR AL-ASSAD: The same ideology. The same background. CHARLIE ROSE: So ISIS and Saudi Arabia are one and the same? BASHAR AL-ASSAD: The same ideology. Yes. BASHAR AL-ASSAD: It’s Wahhabi ideology. They base their ideology is based on the books of the Wahhabi from Saudi Arabia. BASHAR AL-ASSAD: Exactly. Definitely. And that’s by ISIS, by al Qaeda, by al Nusra. It’s not something we discovered or something we try to promote. It’s very, I mean their books — they use the same books to indoctrinate the people. The Wahhabi books. Earlier this year Assad remarked that Israel is Al-Qaeda’s air force in Syria. It has also been well-documented that British and American financing, training, and armaments have been instrumental in the rapid success of Al Qaeda, Al Nusra, ISIS, and other groups officially labelled as terrorists. So why would Jews (Israel) and Christians (Western powers) be teaming up with radical Islamists who are largely coming from Saudi Arabia? Isn’t there a conflict of interests? The big trick the jew has been playing involves convincing us that all Muslims are antagonistic toward the jews, and vice-versa. In fact, they have worked together in the past to conquer and enslave Europe and they are doing it yet again. Before the Islamic State of Iraq and Syria ever existed, ISIS stood for Israeli Secret Intelligence Service, which was another name for the Mossad. Before that, Isis was an Egyptian goddess, well-known for being veiled (occulted). Jews and Muslims are working hand in hand to get the White Western man to submit (Islam means submission). This is why James O’Keefe was able to catch faculty at at least 3 different American colleges willing to provide support for ISIS groups on campus. This is why ISIS has such good production value with their propaganda videos. And, of course, this is why ISIS is terrorizing Christians and Shiite Muslims, but will never do anything to harm a hair on the head of a jew, particularly an Israeli. Gaddafi was right. After he was overthrown by the Obama administration, we not only heard the crazed cackles of Hillary Clinton, but also a warning coming from ISIS in Libya that they would send 500,000 Muslims to Europe. Since then the flood was been tremendous. War is being waged against Europe, but currently only small, heroic nationalist groups are doing what they can to fight back. Islam’s warlike vigor has impressed men’s minds ever since the far-off days when its pristine fervor bore the Fiery Crescent from France to China. But with the passing cycles this fervor waned, and a century ago Islam seemed plunged in the stupor of senile decay. .. Yet at this darkest hour a voice came crying from out the vast Arabian desert, the cradle of Islam, calling the Faithful to better things. This puritan reformer was the famous Abd-el-Wahab, and his followers, known as Wahabis, soon spread the length and breadth of the Mohammedan world, purging Islam of its sloth and rekindling the fervor of its olden days. Thus began the great Mohammedan Revival. That revival, like all truly great regenerative movements, had its political as well as its spiritual side. One of the first things which struck the reformers was the political weakness of the Moslem World and its increasing subjection to the Christian West… The result in Islam was a fusing of religion and patriotism into a `sacred union` for the combined spiritual regeneration and political emancipation of the Moslem World. No more zealous Moslems are to be found in all the ranks of Islam than those who have sojourned longest in Europe and acquired the most intimate knowledge of its sciences and ways. Mohammedans are keenly alive to the ever-shifting uncertainties and divisions that distract the Christianity of today, and of the woeful instability of modern European institutions. (p. 57). Not all is lost, though. This massive influx of radicalized foreign elements is causing White people around the planet to become racially aware at an incredible rate. Our enemies think that it will be too little too late, but they will find out that they are sorely mistaken. 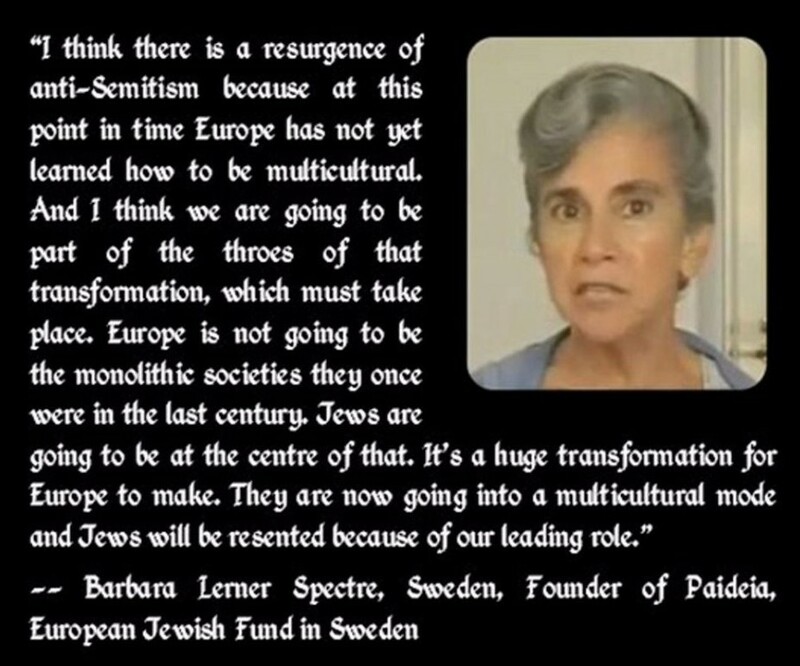 Europeans are getting sick and tired of being trampled on by the invading hordes, and are beginning to see that this is not an accident, but has been intentionally engineered by the political elite, and jews in particular. 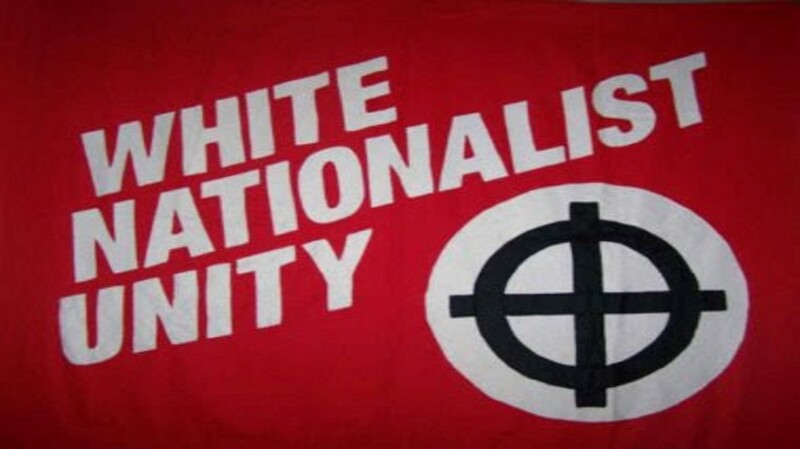 We need to realize the very real threat posed by Muslims, jews, and White traitors, but also foster healthy nationalism, which will effectively prevent us from being sucked into a catastrophic brothers war. The tragedy of WW2, with the judeo-Masonic establishment emerging victorious at the cost of tens and tens of millions of Europeans, is what allowed for Europe to become so weakened that it could not properly stave off the recent waves on invasion. This is why all good nationalists and patriots must put aside petty grievances and fight on the same team.. the right team.. the White team. This coming crusade will see our eventual liberation.